On the contrary, some health experts believe that denser bones are actually much more susceptible to fractures and, the best treatment for osteoporosis naturally is prevention. 6. Severe allergic reactions to the ingredients in the reclast infusion medication were seen in some patients. The best strategies for warding off osteoporosis naturally is consuming a wide variety of green vegetables rich in minerals, vitamins, namely, vitamin K that works by cementing calcium in the bones. You can get large doses of vitamin K by consuming spinach, green salad leaves and collard greens. Another two important elements for preventing osteoporosis naturally are magnesium and potassium seen mostly in fresh and unrefined products like fruits and vegetables. It’s also important for women with post menopausal osteoporosis to get enough sun exposure for proper vitamin D synthesis. 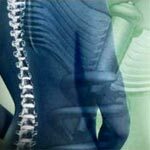 Incorporating some light strength training exercising might help you make your bones stronger naturally.